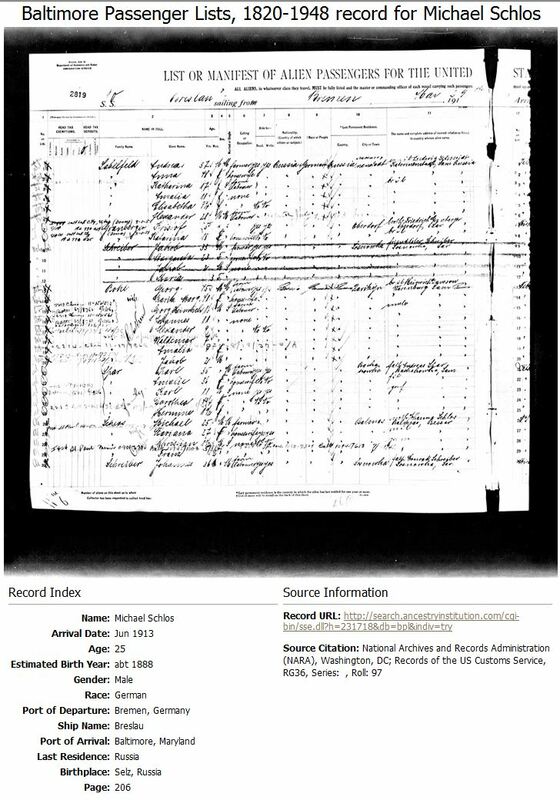 On both of the passenger lists below, Schloss is mis-spelled Schlos. 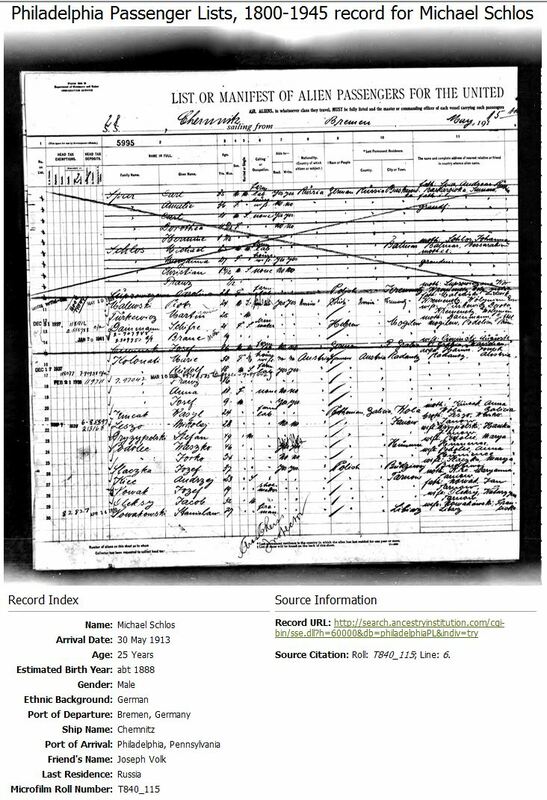 This is a page of the Passenger List for the ship Chemnitz, that sailed on 15 May 1913. 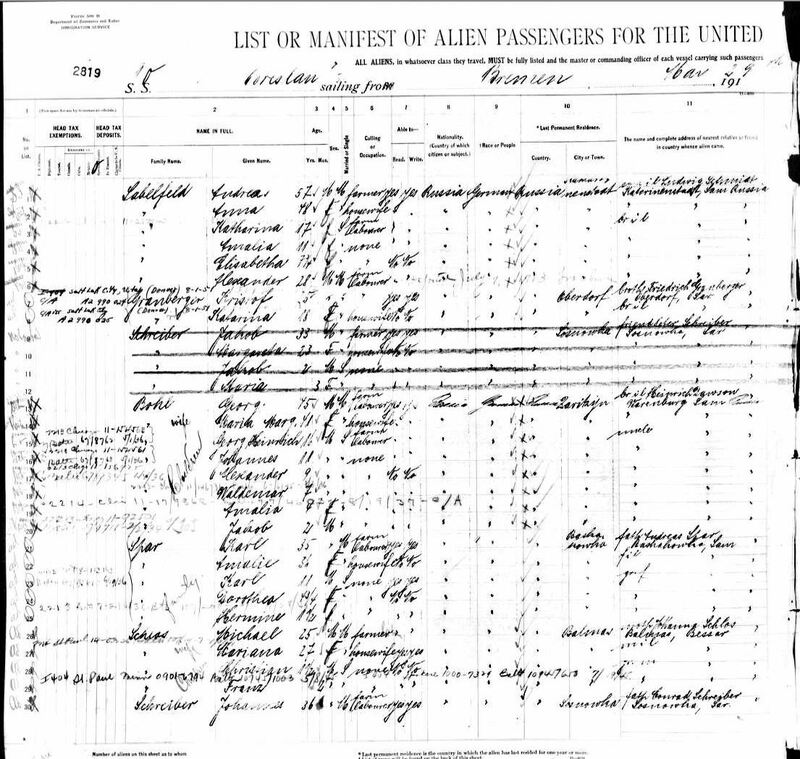 It sailed from Bremen, Germany to Philadelphia, Pennsylvania. Lines 7-9 show Michael, Mariana, Christian and Franz as being crossed off. 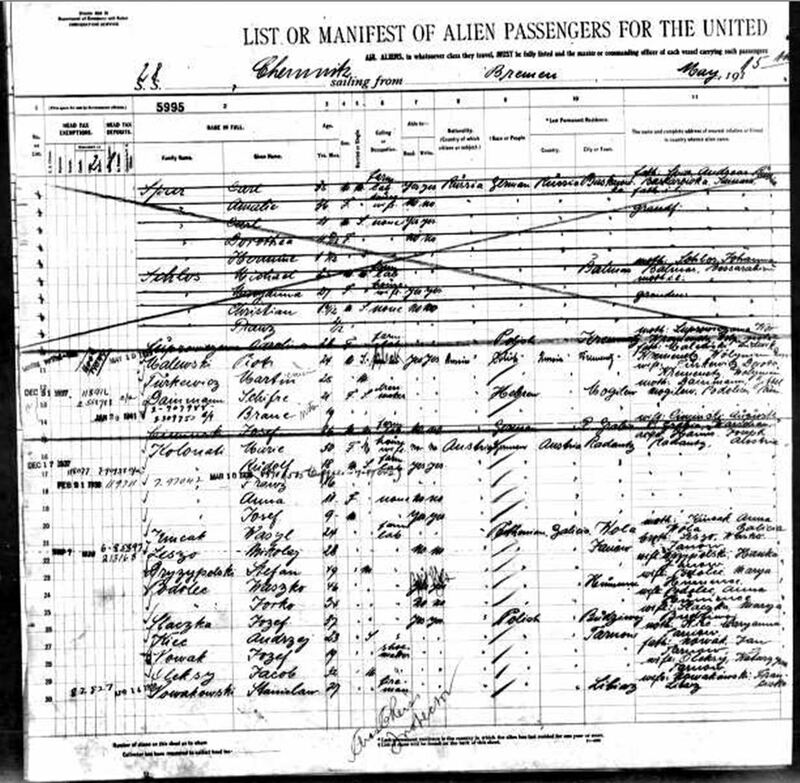 So they must have missed this ship, the Chemnitz, that sailed on 15 May 1913. Michael's Father (Peter) and Michael's bother?? (Johnnes). Or is Johnnes, Peter's younger brother, as it shows his age as 40? 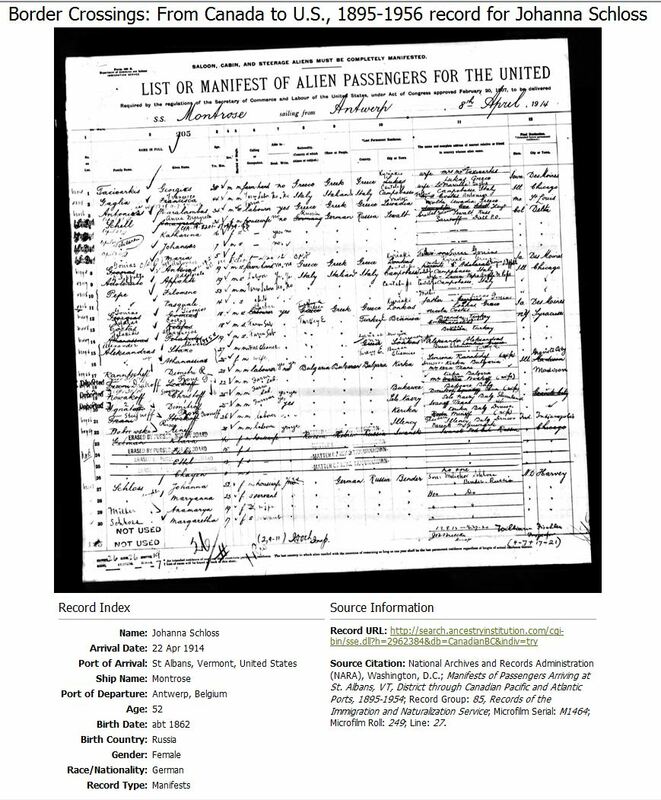 This is a page of the passenger list for the ship Bosnia, that sailed on 23 May 1913. It sailed from Hamburg, Germany to St John, New Brunswick, Canada. Michael's Mother (Johanna) and his 4 sisters. 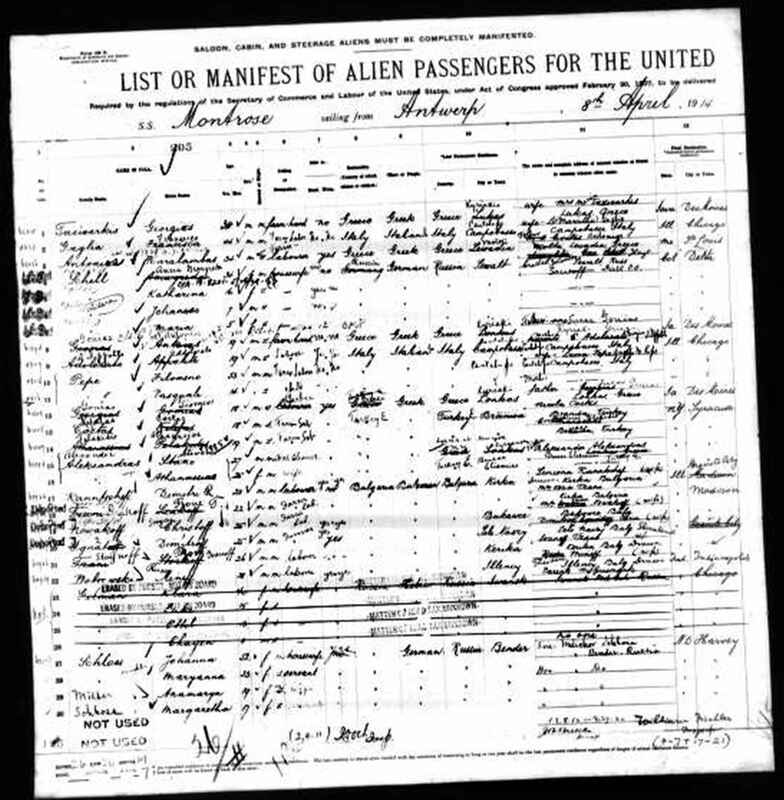 This is a page of the passenger list for the ship Montrose, that sailed on 22 Apr 1914. It sailed from Antwerp, Belgium to St John, New Brunswick, Canada. They then crossed to the U.S. and when to Harvey, North Dakota. 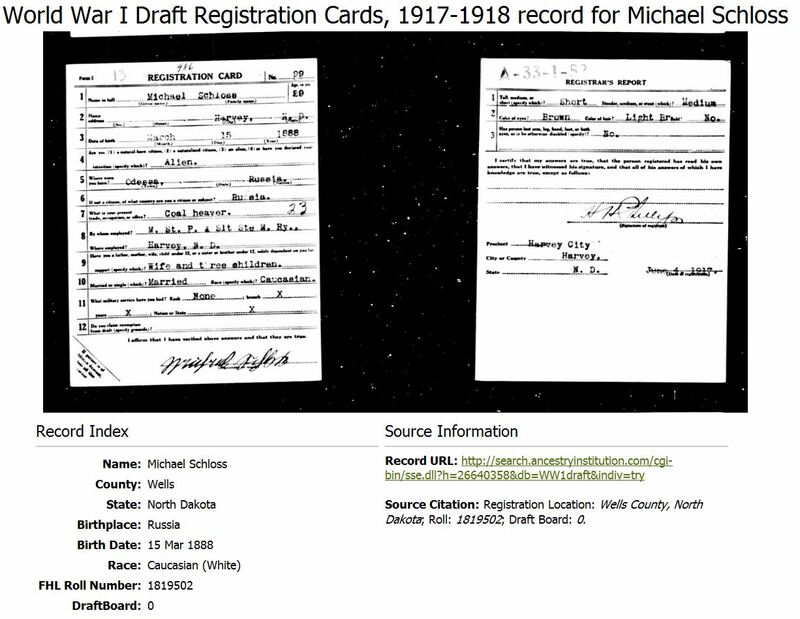 Have not found "Annamarya Miller" index record yet.